Last month, Nissan announced it was working on a custom overlanding version of its largest SUV. 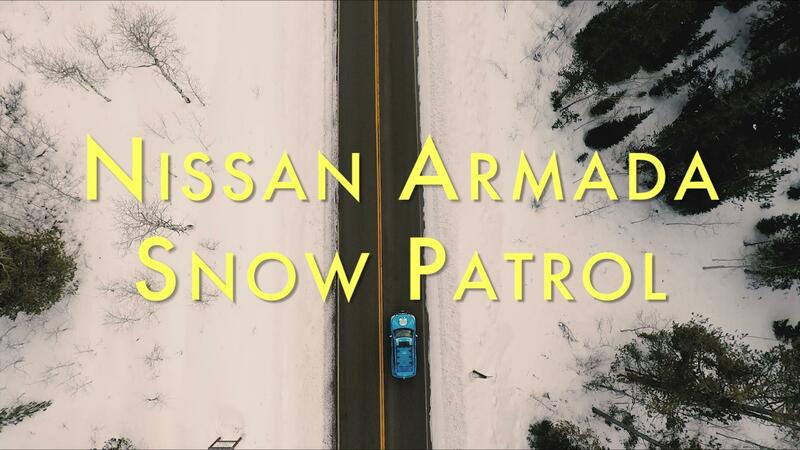 Dubbed the Nissan Armada Mountain Patrol, it's a follow-up to last year's Nissan Titan XD Project Basecamp and the Nissan Armada Snow Patrol we drove earlier this year. Until now, all we've seen are early renderings, but the automaker has released a shadowy teaser image just ahead of the Mountain Patrol's full reveal tonight in Arizona. The off-roader is set to debut at this year's Overland Expo WEST. The Titan XD Project Basecamp debuted at last year's show. Although last month's renderings showed what looked like a completed vehicle, some of the final details were still up in the air. Nissan allowed fans to vote on its Instagram and Facebook pages to decide on things like tire choice, vinyl graphics and the type of tent to use. We used Photoshop to adjust the image's brightness as best we can, but it's still difficult to make out most of the details. We don't have many details beyond what we've seen in the image, so stay tuned to Nissan's Facebook at 9:15 EDT for the full reveal.